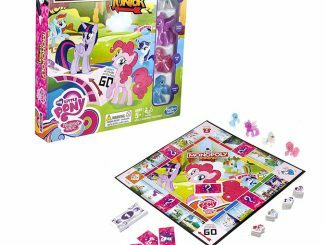 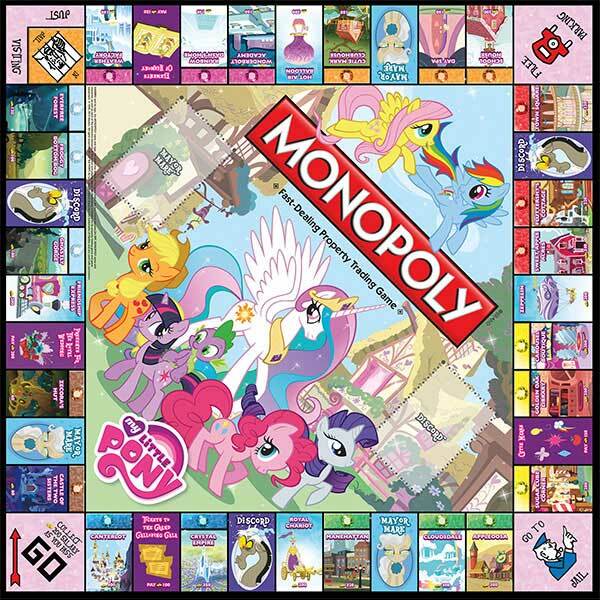 The classic game of Monopoly just got a My Little Pony makeover. 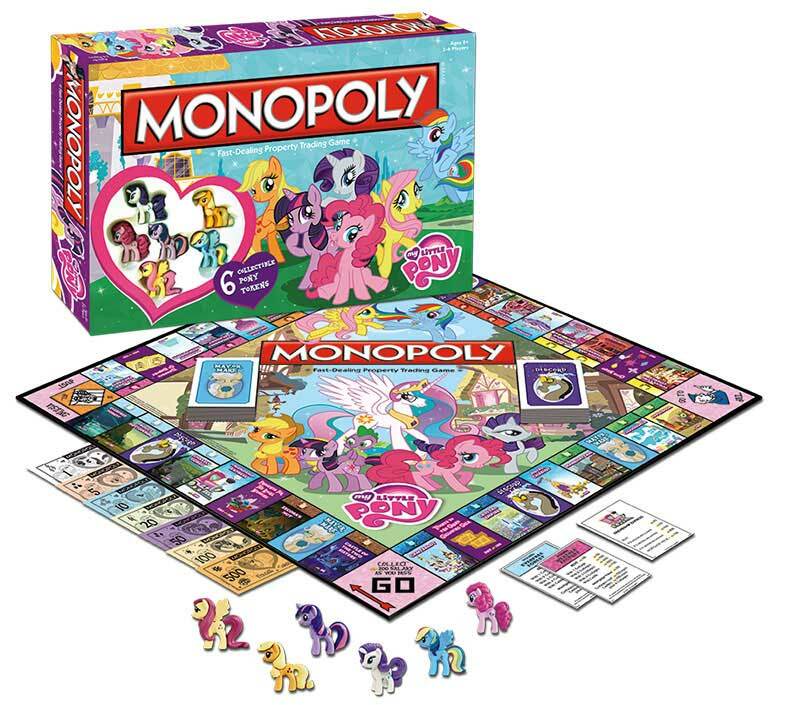 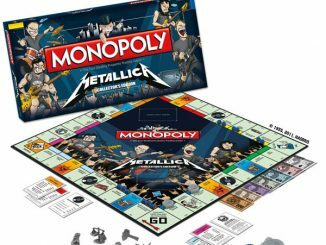 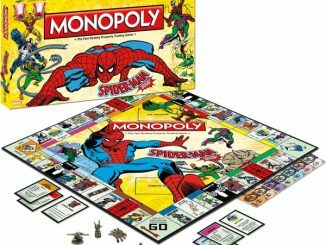 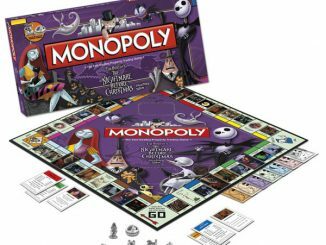 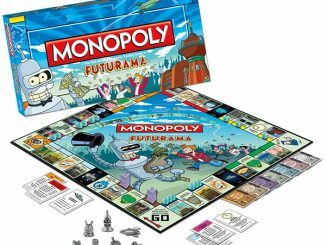 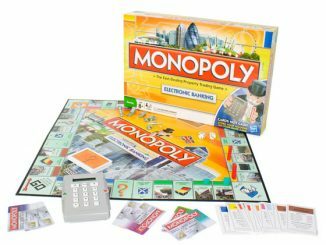 You will have hours of family fun with My Little Pony Monopoly. 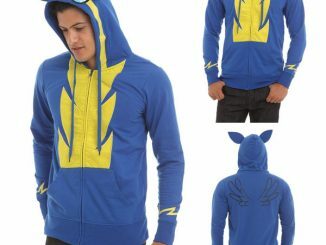 Every pony will love it. 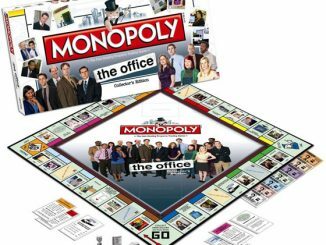 The game includes everything you need to play. 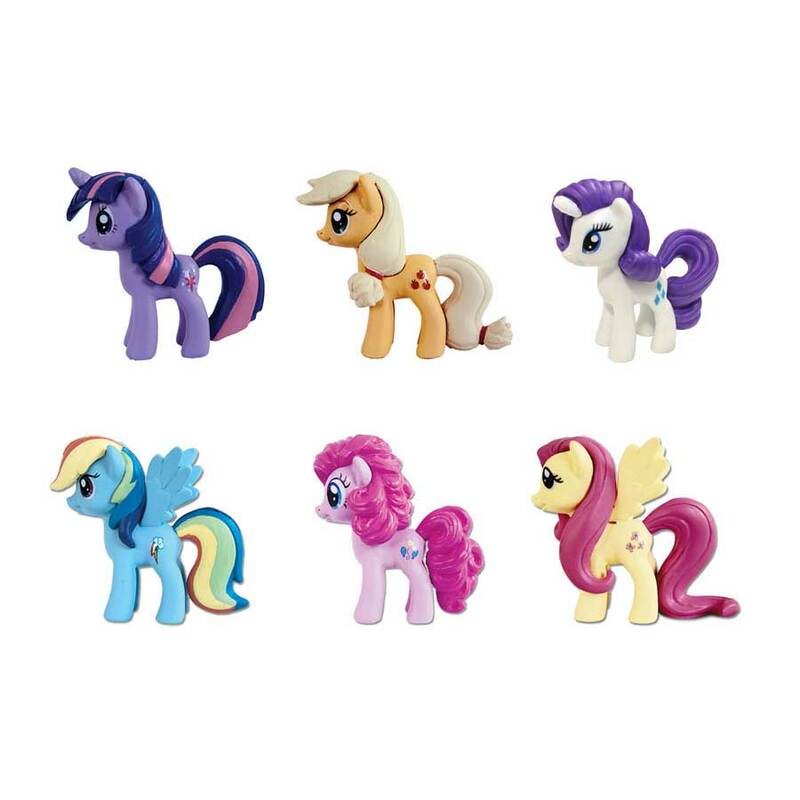 Even 6 plastic collectible pony playing pieces. 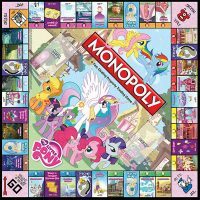 Yup, the classic game of Monopoly, but now with ponies! 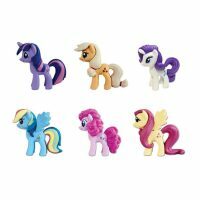 Six collectible (plastic) pony playing pieces: Twilight Sparkle, Pinkie Pie, Rarity, AppleJack, Fluttershy, and Rainbow Dash. 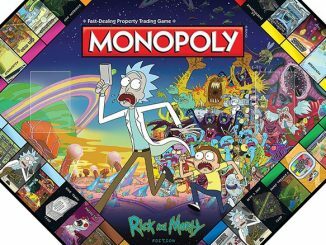 Quick Play: 60 minute rules included. 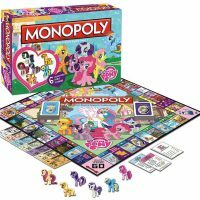 Includes: Game Board, 6 Pony Playing Pieces, 28 Title Deed Cards, 2 Dice, 32 Houses (called Cottages), 12 Hotels (called Castles), 16 Discord Cards, 16 Mayer Mare Cards, 1 pack of MLP Money, and Rules. 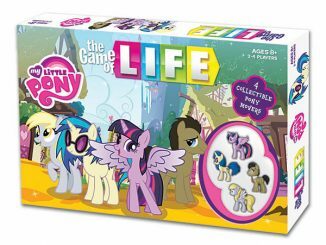 Playing Ponies: approx. 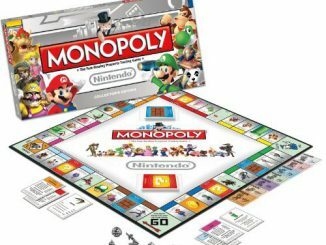 1.5″ tall. 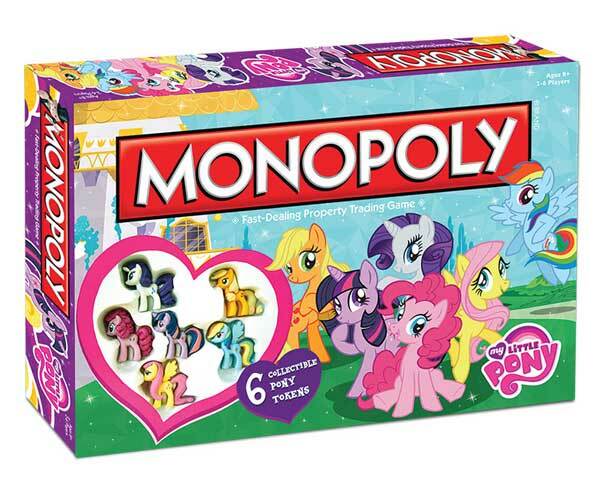 My Little Pony fans will be in heaven. 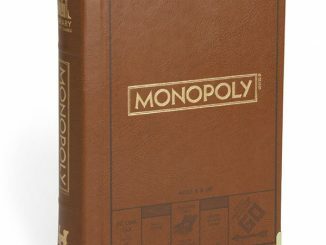 $44.99 at ThinkGeek.com and Amazon.com.